Swiss International Air Lines, also known as Swiss Air, is the flag carrier of Switzerland. 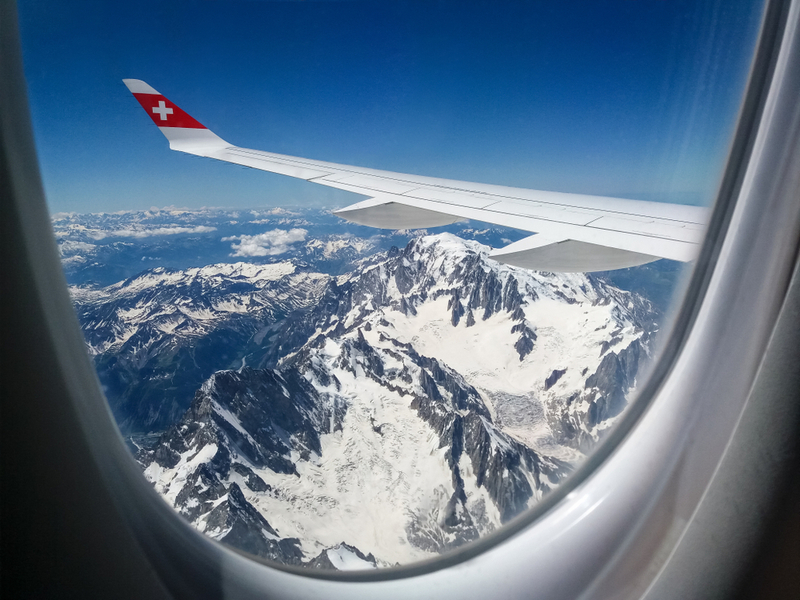 If you want to try Swiss chocolates, enjoy the vistas of the Swiss Alps, or visit Switzerland for whatever reason, Swiss Air is your best choice for getting there. Swiss Air is owned by Lufthansa Group, so they share a frequent flyer program with Lufthansa. Swiss Air is known for its luxurious first class products. In this guide, we’ll be taking an in-depth look at all the options you have for flying Swiss Air. Though generally consistent overall, Swiss Air sometimes performs aircraft swaps, especially substituting the A330 with the A340 and vice-versa. Let’s take a look at the aircraft and route table. Swiss International Air Lines is a Star Alliance airline. As a result, you’ll be able to fly on Swiss Air using Star Alliance points, with a caveat. Swiss Air first class is not bookable with points or miles unless you hold top-tier Miles & More elite status. Specifically, you’ll need to be a Miles & More Senator or HON Circle member to redeem miles for Swiss Air first class. The same is not the case for business class, which is typically an excellent product. Another option for buying a Swiss Air ticket with points is Asiana Airlines. Asiana Airlines only charges 40,000 miles each way to fly on Swiss International Air Lines business class to Switzerland! Unfortunately, Asiana miles are harder to earn than other airline points due to only having one transfer partner: Marriott. ANA charges 88,000 miles for round-trip business class, which is an option if you’re open to round-trip award flights. ANA is transfer partners with American Express Membership Rewards and Marriott. Other options include Avianca LifeMiles, which charges 63,000 miles each way or United MileagePlus, which costs 70,000 miles each way. Swiss International Air Lines 777-300ER First Class. Image courtesy of swiss.com. Swiss International Air Lines is an extremely aspirational first class product. It’s very difficult to book with points and miles, but it’s proven itself time and time again to be one of the best ways to cross the Atlantic in first class. The elegance of the first class cabin, stellar catering, and stupendous customer service make this one of the products everyone should have on their bucket list. The flagship Swiss First Class product is aboard the 777-300ER, which is the newest and most up-to-date edition of first class. For this reason, the 777-300ER is our favorite first class product offered by Swiss Air. Swiss International Air Lines is very consistent across the board when it comes to offering the same products on their aircraft. For this reason, there’s not necessarily going to be huge distinguishing factors in first class between types of aircraft. 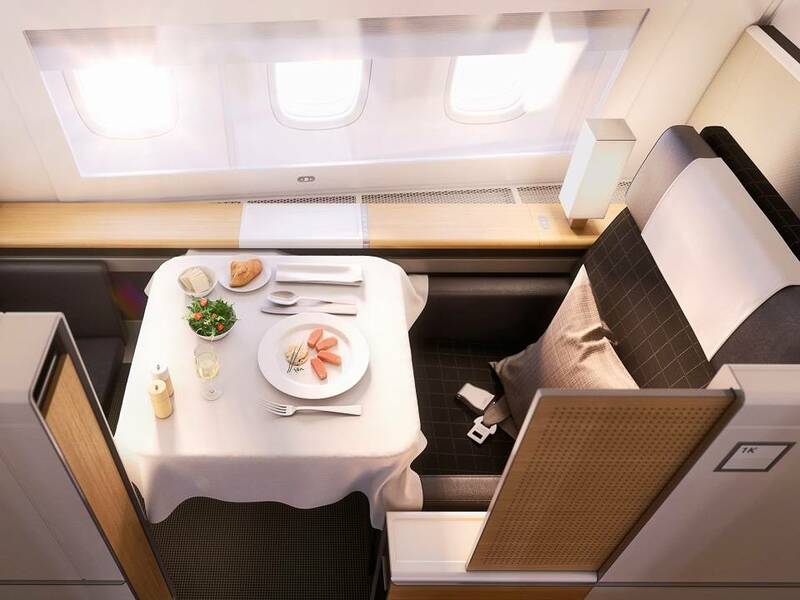 Swiss calls their first class product “La Premiere.” Each of the first class suites on the 777-300ER has sliding doors, giving guests plenty of privacy. The first class chairs are 22 inches wide and 80-83 inches long in bed mode. It’s important to note that the width is with the armrests up. There are a total of 8 first class seats spread out across 2 rows in a 1-2-1 configuration. Swiss Air 777-300ER first class seat map. Image courtesy of seatguru.com. As you can see, the lavatories and galleys are located at the front of the aircraft. As a rule of thumb, you generally want to be as far from the lavatories and galleys as possible to minimize your disruption from noise and smells. Hot Tip: We recommend solo travelers to be seated in 2A or 2K. Those traveling as a couple will enjoy 2D and 2G due to the privacy and ease of conversation. Our runner-up for first class luxury is the A330 First Class Suites. The A330 is the second-most used aircraft by Swiss, meaning it’s the product you’re most likely to experience. Although the entire first class cabin is identical in design and configuration as the 777-300ER, the seats are generally a bit older. The 8 first class suites on the A330 are arranged in a 1-2-1 configuration across 2 rows with a total of 4 seats per row. Swiss Air A330 first class seat map. Image courtesy of seatguru.com. 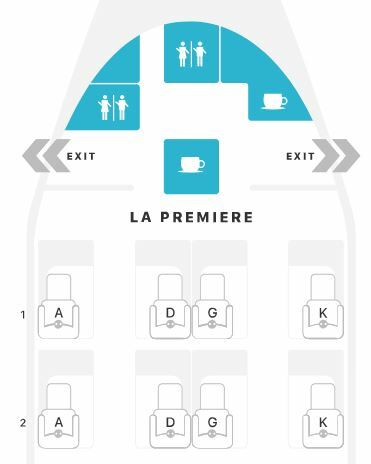 The best seats are also going to be in row 2 due to the distance from the lavatories at the front of the plane. The final plane Swiss International Air Lines flies to and from the U.S. is the A340. The A340, which constitutes a small percentage of Swiss’ overall fleet, is a great option for those flying from specific airports. The A340’s first class cabin is exactly the same as the 777-300ER and A330. Swiss Air A340 first class seat map. Image courtesy of seatguru.com. 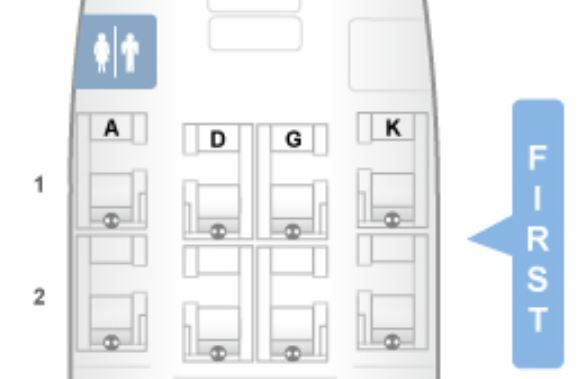 You may want to avoid seats 1A and 1D in this seat map due to the uncomfortable proximity to the lavatories. Generally speaking, seats 2G and 2K will be the most private on the A340. Reserve the throne seats on Swiss International Air Lines’ 777-300ER business class if you can. Image courtesy of liveandletsfly.boardingarea.com. Swiss International Air Lines is very interesting when it comes to business class. The seats within the airplane can be dramatically different in privacy and comfort, but the seats across different aircraft are arranged similarly. We’ll show you what we mean. Since the 777-300ER is the newest product, you’ll want to fly this airplane whenever possible. The 777-300ER has 62 fully lie-flat business class seats spread out in a quirky configuration. There’s always 5 seats in a row, alternating between 1-2-2 and 2-2-1. Each seat is 20.5 inches wide and 60 inches in pitch. Most, but not all business class seats have direct aisle access. The best business class seats on Swiss Air are known as throne seats. 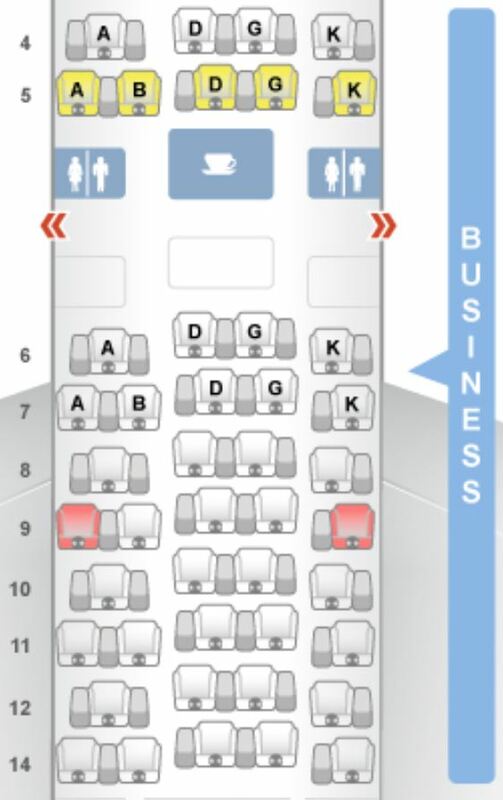 Swiss Air 777-300ER business class seat map. Image courtesy of seatguru.com. If you’re a bit confused by this seat map, you’re not the only one. Here’s the important thing to know: throne seats are located at 4A, 5K, 7A, 8K, 9A, 10K, 11A, 12K, 14A, 15K, 16A, and 17K. The throne seats provide you with more room and convenient aisle access, making these the best seats in business class. Typically Swiss International Air Lines charges a nominal fee of $200 for throne seats. In our opinion, this is worth it for the dramatic increase in comfort and privacy you’ll get. The best seat, hands down, is 4K because it’s in the private mini-cabin and far away from the lavatories. The runner up is probably 5K as it’s not terribly close to the lavatories due to the exit row. Next, we have the Swiss Air A330 business class cabin. The seats and cabin itself look almost identical, with the exception being fewer rows because the A330 is a smaller airplane. Swiss Air A330 business class seat map. Image courtesy of seatguru.com. As we mentioned, the best seats are throne seats on all Swiss business class flights. Notice, however, that on the A330, all throne seats are located on the left side of the cabin. In other words, there are fewer throne seats, so booking one is highly competitive. Pick 4A as the best seat, followed by 12A. 12A is great because it minimizes lavatory and galley noise by being at the back of the business class cabin. If both of those are taken, consider throne seats 6A, 8A, or 10A. The last Swiss aircraft with business class to and from the U.S. is the A340. The A340 is inconsistently flown by Swiss, seemingly as a substitute aircraft in place of aircraft being serviced, but it’s still has a great business class cabin. Swiss Air A340 business class seat map. Image courtesy of seatguru.com. To select throne seats, choose seat 4A first, then 12A, followed by 10A, and lastly 6A or 8A. Bottom Line: When flying on Swiss International Air Lines business class, choose the throne seats! The exact seat numbers will vary depending on the aircraft you’re flying, but we’ve provided you with plenty of information to nail down which plane you’ll be flying on and which seats are the best. Unfortunately, Swiss Air doesn’t currently offer premium economy on any of their flights to and from the U.S. However, SWISS has unveiled plans to introduce premium economy on their 777-300ER aircraft starting in 2021. These seats will consist of 24 seats in 3 rows in a 2-4-2 configuration. Swiss International Air Lines 777-300ER economy. Image courtesy of thedesignair.com. The very last product that will round out our Swiss International Air Lines route and aircraft guide is economy. All the seats are the same size: 17.3 inches wide and 32 inches in pitch. The seat size is nothing special; in fact, it’s actually on the small size in comparison to other airlines like Cathay Pacific and Singapore Airlines. Swiss Air 777-300ER economy class seat map. Image courtesy of seatguru.com. 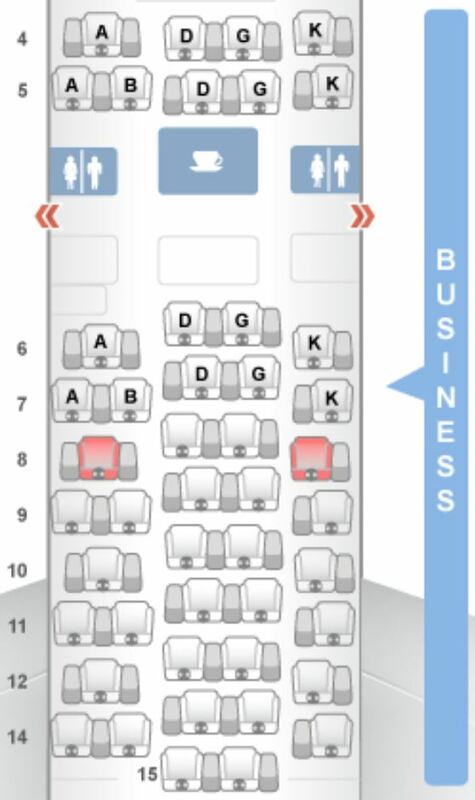 Undoubtedly, the best economy seats on the Swiss 777-300ER are 23B, 23C, 23H, 23J, and 22D/E/F/G. These are the bulkhead economy class seats and come with tons of extra legroom. Hot Tip: Remember to avoid 23A and 23K due to the protrusion of the exit row door into your leg space. While sitting in row 22 or 23, you won’t have any foot traffic near you, which minimizes noise and disturbances during your flight. You’ll also be at the very front of the economy cabin, which means you’ll be one of the first to deplane. The next aircraft is the A330. Swiss Air A330 economy class seat map. Image courtesy of seatguru.com. The single best economy class seat on the Swiss Air A330 is probably 23D, which doesn’t have a seat in front of it, giving you a lot of legroom to stretch out. You can also sit in the exit row seats in row 29, but the proximity to lavatories and galleys may be unpleasant. Other options are the remaining seats in row 23 and row 22, which are baby bassinet seats, thus affording you more legroom. In the back of the airplane, the seat configuration tapers to a 2-3-2 design. The very last product we’ll discuss is the A340, which, as a reminder, is seldom flown to and from the U.S. by Swiss Air. Just like the A330, the Swiss International Air Lines A340 is arranged in a 2-4-2 configuration with a tapered 2-3-2 configuration toward the back of the cabin. Swiss Air A340 economy class seat map. Image courtesy of seatguru.com. Row 23 is the absolute best on the A340. It’s at the front of the cabin, has tons of extra legroom due to the bulkhead, and is far away from the lavatories. Other options include 29 D/E/F/G, 30A/B, and 30J/K, which are situated in the exit row but are close to the lavatories. For families of 3 traveling together, it might be a wise idea to take the entire middle row in rows 42-45. Overall, Swiss International Air Lines has created a consistent product across their different airplanes. This is a bonus if you fly with them often as you’ll generally be pleased with your experience, regardless of which aircraft you fly. 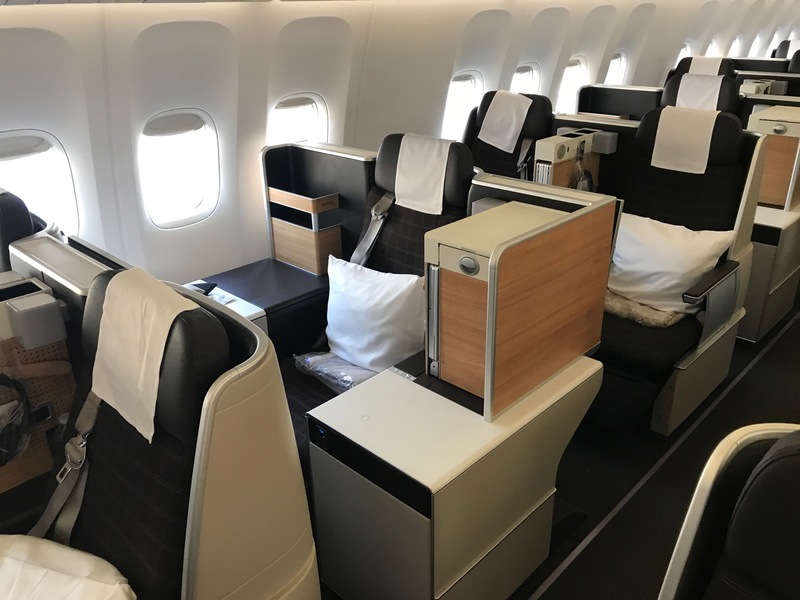 Swiss has a very difficult-to-book first class product, but the business class product is almost as luxurious and is slightly easier to book. For the most up-to-date experience, you’ll want to fly the 777-300ER, no matter which class you’re sitting in. Now, you have a much better idea of Swiss International Air Lines’ fleet, routes, and various cabin classes! What's the best way to book Swiss International Air Lines First Class Suites? Unfortunately, you can’t book Swiss First Class unless you’re a Lufthansa Miles & More Senator or HON Circle member. This is a top-tier elite status which is very difficult to attain. What's the best ways to book Swiss International Air Lines Business Class? For 80,000 Asiana miles, you can book a round-trip business class ticket on SWISS to Europe! One-way is 40,000 miles. Asiana Airlines’ only transfer partner is Marriott, so you’ll want to earn Marriott points to use this redemption. You can also use 105,000 Lufthansa Miles for a round-trip business class ticket with the added advantage of more award availability. Other options include 126,000 Avianca LifeMiles, 88,000 ANA miles, 110,000 Air Canada Aeroplan miles, 130,000 Singapore Airlines KrisFlyer miles, and 140,000 United MileagePlus miles. 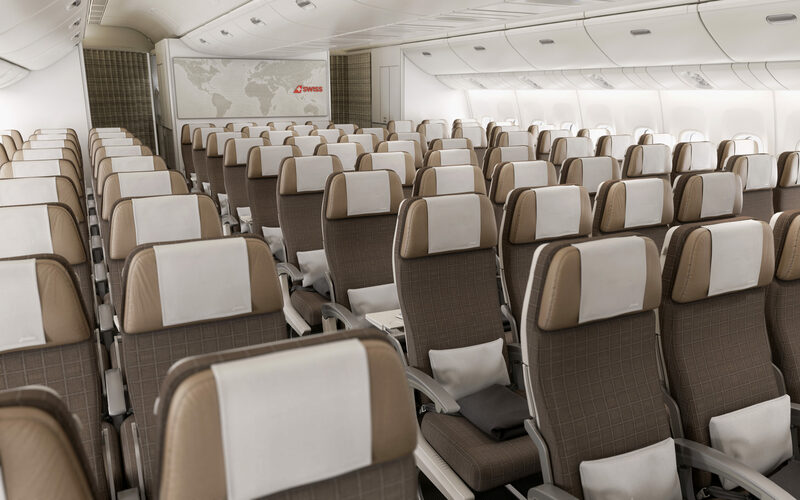 What are the best ways to book Swiss International Air Lines premium economy class? Unfortunately, Swiss International Air Lines does not operate a premium economy cabin on any of their U.S. flights. SWISS has unveiled plans to introduce premium economy on their 777-300ER aircraft starting in 2021. What's the best ways to book Swiss International Air Lines Economy class? For 50,000 Asiana miles, you can fly round-trip economy on Swiss International Air Lines. The same is true with 50,000 Lufthansa miles, 55,000 ANA miles, 55,000 Singapore Airlines KrisFlyer miles, 60,000 Avianca LifeMiles, 60,000 United MileagePlus miles, and 60,000 Air Canada Aeroplan miles.